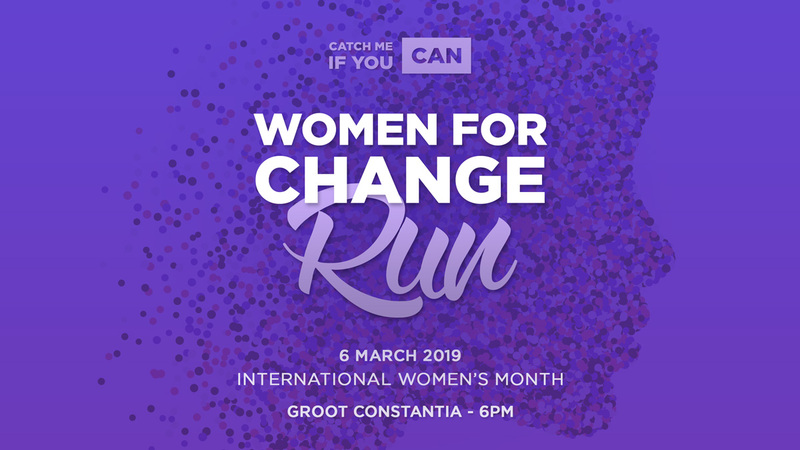 Join our Women For Change 5km Run at Groot Constantia Wine farm, Cape Town on Wednesday, 6th March 2019 at 6pm to celebrate our freedom, bring together women from all communities and stand united for a better future for women, for our children, for all of us. We matter! As women we need to stand united to put an end to violence against women and children! Let’s run together to claim back our safety and cherish the beautiful souls, who have been senselessly killed in this country! In awareness of Gender Based Violence, hundreds of women will run united on the 6th of March 2019. All finisher will receive a Women For Change medal. Only 400 entries available! The ‘Women For Change’ Run was founded by Catch Me If You Can, South Africa’s largest all-women running community.